This mode is suitable for service providers with a smaller number of customers or users. It can be set up in just a few minutes. In this mode, all MailStore Service Provider Edition components are installed in a single setup process onto just one server. Multi server mode can be easily migrated to, should customer numbers increase. When choosing multi server operation, the individual components of the MailStore Service Provider Edition (instance hosts and client access servers) are run on different servers and managed and monitored centrally via the management server. This ensures almost unlimited scalability. 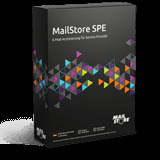 The management server is responsible for centrally managing and monitoring all components of the MailStore SPE. The administrator can control the system either using the web-based Management Console or via an API. Instance hosts are used to operate the instances that have been created for the customers. If the existing instance hosts are running at full capacity, it is possible to add further instance hosts to run additional instances. End customers access their instances via the client access servers. By running multiple client access servers, different load balancing and security concepts can be implemented. Free trial periods, comprehensive technical assistance from the MailStore support team, and a range of marketing materials make it easy to get started. Interested service providers can register for free with no obligation. Let our technical experts present MailStore Service Provider Edition in a free demo, at no obligation to you. The latest version offers both service providers and end customers many new features and improvements and is now available to all registered service providers.